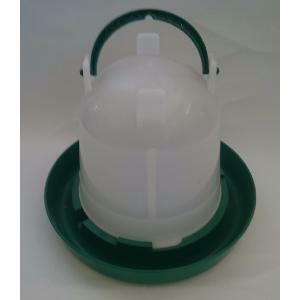 This little drinker is an ideal starter drinker for rearing a few chicks. When placed on the floor it is low enough for the chicks to drink safely, it can be hung at various heights to allow the chicks to drink as they grow there fore keeping the water clean. The reservoir will hold 1.5 Litres and twist locks so it is filled and cleaned easily.